Whoa! This week brings a ton of opportunities to see some free movies. Thanks to the generosity of the movie powers-that-be readers can check out three different screenings next week - all in exchange for nothing more than a few clicks and some time online. You can't actually see all three (two are on the same night) - but choose at least one and have yourself an extra fun week. Don't forget to get there plenty early as these things are typically overbooked to ensure a full house. 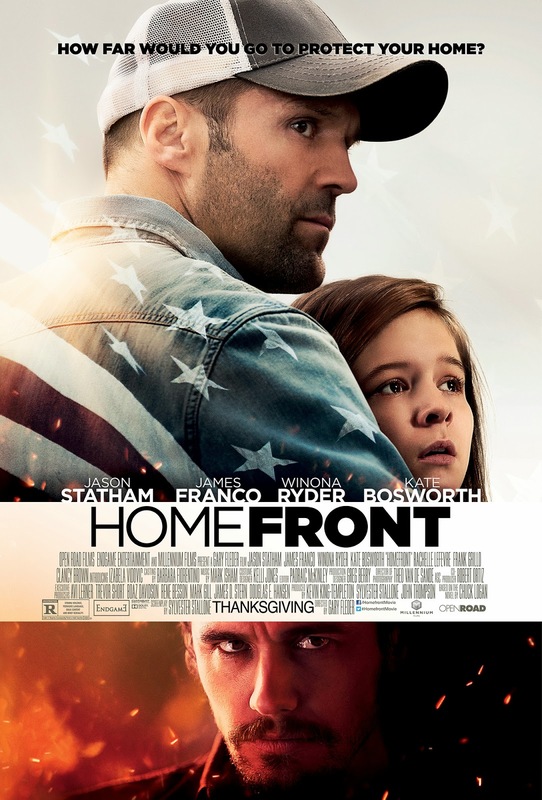 Homefront (November 20th) - This one looks like the most guilty pleasure fun "A former DEA agent moves his family to a quiet town, where he soon tangles with a local meth druglord." Most importantly I cannot picture how a movie with Jason Statham and James Franco won't be a total blast. Get your tix via this link. Nebraska (November 19th) - From Alexander Payne comes something interesting and potentially frightfully depressing. More specifically "An aging, booze-addled father makes the trip from Montana to Nebraska with his estranged son in order to claim a million dollar Mega Sweepstakes Marketing prize." Get your tix via this link. Philomena (November 19th) - If you missed your last chance to see this one here's another opportunity. If you've forgotten what it's about - "A world-weary political journalist picks up the story of a woman's search for her son, who was taken away from her decades ago after she became pregnant and was forced to live in a convent." Get your tix via this link.